The team relies almost totally on donations received from the public. 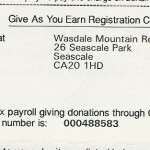 Charitable gifts are always gratefully received. As well as needing money to replace ageing equipment and vehicles we require funds for more mundane costs such as utilities, fuel and maintenance. To support and help raise funds for the team – also to promote safety awareness for those who love the outdoors. This page contains a list of our valued supporters’ club members as well as details on joining. Wasdale Mountain Rescue Team is extremely grateful to the following companies who support us. 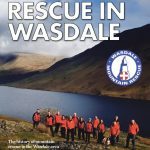 If you are interested in supporting the team (and promoting your business to visitors to the Wasdale and Eskdale valleys on this website) you can contact us for further information.